Smart, waterproof GPS running watch with pulse measuring on the wrist at a very attractive price-performance ratio! Completely integrated, visual heart rate sensor makes pulse measuring without chest strap or finger sensor possible for the first time! via Polar M200: Instructions for HR zones based targets. Zones are shown on the display graphics. With the Polar GPS running watch M200 (optionally incl. 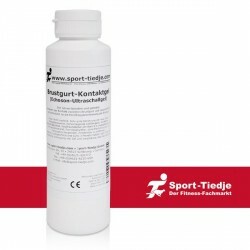 Powerbank battery), the pulse measuring is comfortably done on the wrist - wearing a chest starp is no longer necessary! 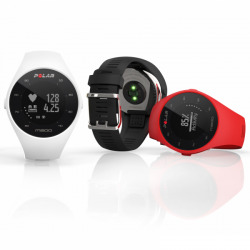 After the Finnish sport watch specialist Polar equipped its smartwatch M600 wtih the visual heart rate measuring, the Polar M200 sport watch also gets this feature, which is very popular among leisure runners, as a beginner model. Due to the comfortable pulse measuring of small LEDs and a photocell on the wrist, it is no longer required to wear a chest strap. As a result, Polar offers the sport watch M200 - a solution for all runners, who feel uncomfortable wearing a chest strap (of it mainly women). Although the M200 running watch rather belongs to the entry level in terms of price, it does not only include a hand pulse measuring but also a fully integrated GPS, by which the running speed, distance, height as well as route can be tracked. Furthermore, the Polar approved Smart Coaching training as well as activity functions contribute to a successful and performance-oriented training without under- or overexertion. 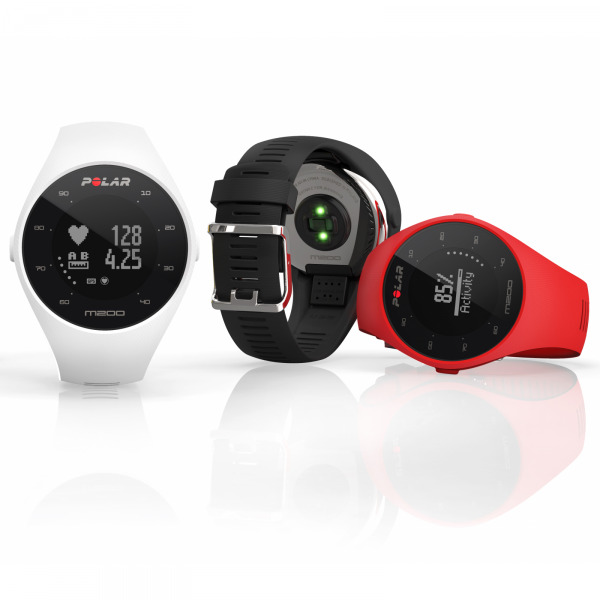 Depending upon the fitness level and the training target, the Polar GPS running watch M200 (optionally incl. Powerbank battery) determines the optimal heart rate zone, in which you should train to achieve your target. After your activity, you get a feedback of the training use via the linked smartphone/web, while the "Running Index" keeps you up to date about the development of your performance. Moreover, you can use individually customised running training plans via the Polar Flow App or the Polar Webportal. That's how the next 5 km or 10 km run, half-marathon or marathon can be ideally planned. Be always up to date even during the training? Smart Notifications make it happen! Besides the common watch displays (time, date, alarm with snooze) and classic extras like a pedometer and lap counter, also incoming calls or social media messages can be displayed on the M200, when it is connected to iOS and Android smartphones (via Polar Flow App). If required, also via a vibration alarm. The waterproof Polar GPS running watch M200 (optionally incl. Powerbank battery) allows for a monochrome displaying with the grey FSTN display; the resolution is 1344 px. According to Polar, the integrated 180 mAh Li-pol battery offers a use of up to six days, in so far as you train daily an hour with GPS and visual heart rate measuring. Alternatively, the battery works up to seven hours, when GPS and heart rate measuring are permanently activated or up to 30 days in the sole watch mode with activity measuring. The Polar GPS running watch M200 (optionally incl. Powerbank battery) is offered in the colours black and red; the standard size is M/L and is suitable for women and men. However, we recommend the additional purchase of a change wristband in the size S/M for petite wrists. There are also great, coloured change wristbands available for the unisex size (M/L) of the Polar GPS running watch M200 (optionally incl. Powerbank battery).